A talk by Vanamala Viswanatha, an award-winning translator, working with Kannada and English and currently a Visiting Professor, Azim Premji University, Bengaluru. 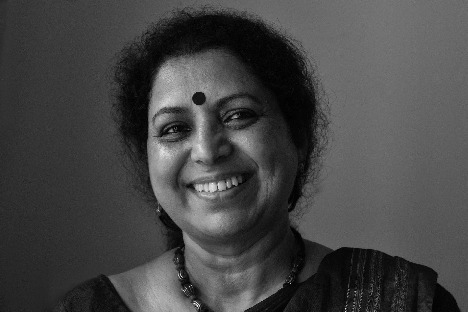 An acclaimed translator and academic, Vanamala Viswanatha has taught English language and literature over the past four decades at several premiere institutions in Bengaluru, India, including Indian Institute of Science, Regional Institute of English, Bangalore University, and Azim Premji University. Vanamala Viswanatha has also worked as Honorary Director, Centre for Translation, Sahitya Akademi, Bengaluru and as a member of the Advisory Committee, National Translation Mission. She has translated and introduced Sara Aboobacker's Kannada novel (Breaking Ties, Macmillan India,2001) and an anthology of Lankesh's short stories (When Stone Melts, 2004, Sahitya Akademi), and co-edited Routes : Representations of the West in Short Fiction from South India, (Macmillan India, 2000); and translated J Krishnamurtis writing into Kannada. She has co-translated Ananthmurthy's Samskara into Swedish (Samskara - rit for en dod man, Ordfront Forlag, 2001) and Torgny Lindgren's Swedish novel into Kannada (Havina Donku, 2002). Her translation of The Life of Harishchandra (Harvard University Press, 2017), the first ever translation of a medieval Kannada poetic classic, in the Murty Classical Library of India Series, is a landmark publication. Her English translation of Gulavadi Venkata Raos Indira Bai, the first social novel in Kannada, in collaboration with Padikkal, is being shortly published by Oxford University Press.